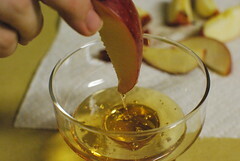 Shana Tova, by Jen T.
The Day of Atonement, Yom Kippur, is the culmination of the process of teshuvah. Observant Jews fast for 24 hours and spend the day in synagogue, praying and reflecting on their lives. Work is forbidden. 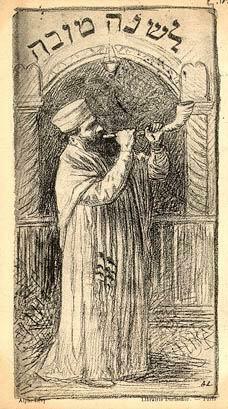 Other Jews may take the day off for reflection as well. Yom Kippur is a day for atonement for sins against God and/or Jewish law; it only atones for sins against other human beings if we have gone through the process of teshuvah (taking responsibility, apologizing, and taking steps to prevent a recurrence.) If you have a health problem that requires regulation of food and/or liquids, do not fast – there are other ways to observe. There are several options for attending High Holy Day services for low or no cost. You can always call the synagogue and ask; they may be able to make a referral, and there are synagogues who offer free High Holy Day services as a form of outreach. Some synagogues offer free High Holy Day tickets for college students. If you are in a city in the USA, call the Jewish Federation or other local Jewish agency for information about locations for free or low-cost services. Another option, almost always free, is to attend Selichot services which are usually on the Saturday evening before Rosh Hashanah. You will hear the High Holy Days music, often the clergy will be wearing their High Holy Day robes, but it is an evening penitential service that is so little known that only regulars attend. Call your local synagogue for information. 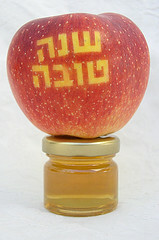 L’Shanah Tovah: I wish you a fruitful beginning to the New Year of 5775!